If you have ever considered writing your memoir, or just love the genre for its open window approach into someone’s life, you should make a point of reading Mary Karr’s The Art of Memoir. Karr is the author of at least three memoirs (all still on my reading list) and has taught the genre for over thirty years. 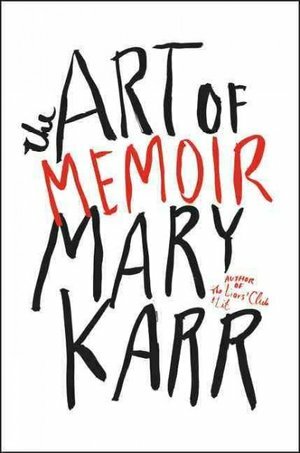 Karr prefaces The Art of Memoir by saying, “No one elected me the boss of memoir. I speak for no one but myself.” That being said, she proceeds to give us her viewpoint on subjects like the reliability of memory, truth telling and the importance of voice. Karr’s book even has a chapter, complete with a quiz, to help you determine if you are ready to write your own memoir. After taking the quiz, I decided I am more of a memoir reader than writer. Fortunately, Karr’s book provided me with a healthy list of memoirs to add to my reading list. I’ve decided my next read, after Karr’s memoirs, of course, will be A Childhood: the Biography of a Place by Harry Crews.